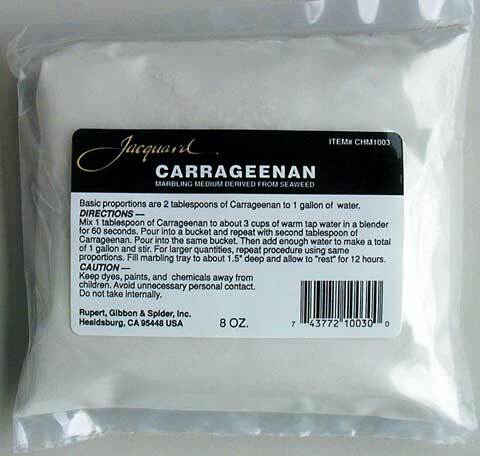 Carageenan is a gelling agent that provides viscosity for marbling on fabric. Slowly sprinkle one teaspoon of Calgon and two teaspoons of Carageenan into a quart of water in a running blender. Mix as many batches as you will need at least 12 hours before marbling.